RTX! In Europe! Gavin will be there! Yes! Get hyped European Rooster Teeth fans... the RT gang is finally bringing their trademark convention over to the Big Smoke. RTX London will be taking place from 14-15 October at London's ExCeL Centre, which is, incidentally, also where Summer In The City is held. According to the official Rooster Teeth Twitter account, tickets will go on sale "in March" and guardian applications are already open. 'Guardians' is the name the Rooster Teeth gives to a team of volunteers who keep the staff members hydrated and well ... alive. They are the human shields between the RT members and the screaming crowds. Noble heroes, working tirelessly for but a single T-Shirt and the love of their community. 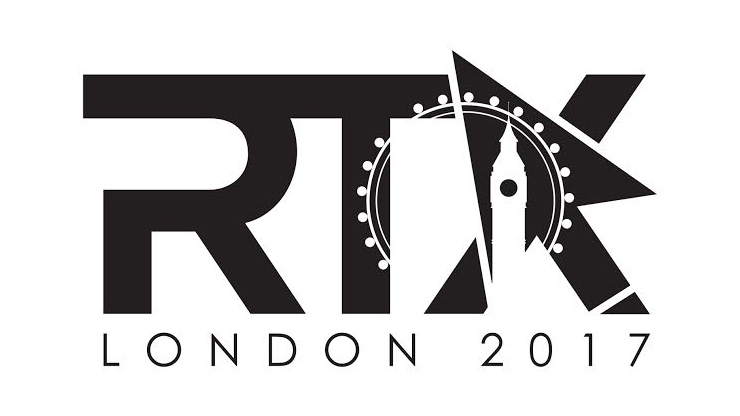 RTX is coming to London!! Ticket sales begin this March, guardian applications start Feb 6th! You can find all the information you need about RTX London by clicking here to head over to the event's official website.